Hey everyone! 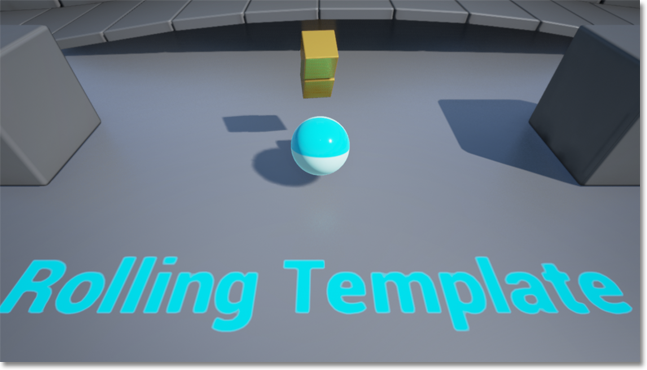 We’re excited to tell you about the Unreal Engine 4.1 update which is coming later this month. I’ll summarize the high points here, and detailed preview notes are below for you to check out. Please visit this forum thread and let us know what you think! Okay, so you might wonder why an image of our Elemental demo is attached to this post. That’s because it’s time to give it away! With the release of 4.1, Elemental will be free for all subscribers to download from the Marketplace. It took us awhile, but we've converted Elemental to match the engine's default system, to make it easy for you to use these assets with your own projects! Folks have been asking about our early Linux efforts and support for Valve’s SteamOS and Steam Machines. We have good news for you! The 4.1 source code has initial support for running and packaging games for Linux and SteamOS. We love Linux! We really want to provide UE4 updates to everyone on a regular basis. Think of it as a continuous release plan. Our team has a great history of releasing frequent and high-quality engine updates. We addressed many issues from the initial release with last Tuesday’s hotfix, but this is just the beginning. You can expect to enjoy new content, code and improvements at any point in time. On the content side, we shipped the Blueprint Office showcase last week. In 4.1 you’ll get Elemental, and if you check out today’s Twitch livestream at 11:30 a.m. PT / 2:30 p.m. ET, you’ll be the first to hear about even more surprises. We’re also working to bring you ‘live’ source code access and regular preview builds of the engine. We’re getting close! In fact, today we pushed latest code to GitHub. This preview build contains most of the 4.1 features below! Okay, last thing, but super important. Thank you to all of the awesome developers who contributed code to the upcoming 4.1 release! We are humbled and amazed by what you are doing!! Feel free to drop into today’s Twitch stream! Ray Davis and I will be talking about UE4 plans and answering your questions. There are 2 new project templates that demonstrate simple flying and rolling character movement! The Editor now has a way to access the undo history! Note: Currently only works with Editor transactions. You can now right click on pins and jump to connections! You can now draw a histogram (graph) of float values in the world! Values can be recorded and histograms can be drawn from both C++ code and Blueprints! New! Preview Meshes preference that allows customization of meshes displayed in viewports when holding the Backslash key. New! 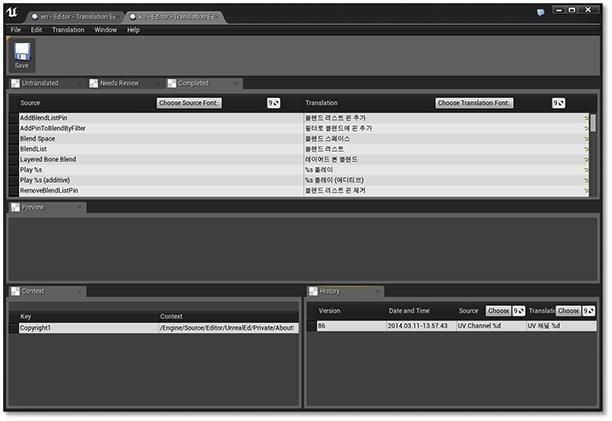 Pressing the C key now creates comments in the Material and SoundCue editors. New! 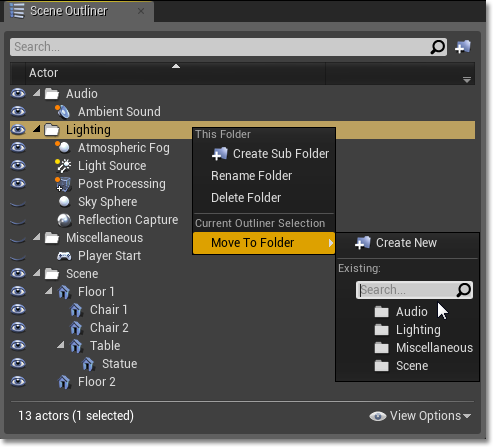 You can now customize the selection colors in the editor preferences. New! 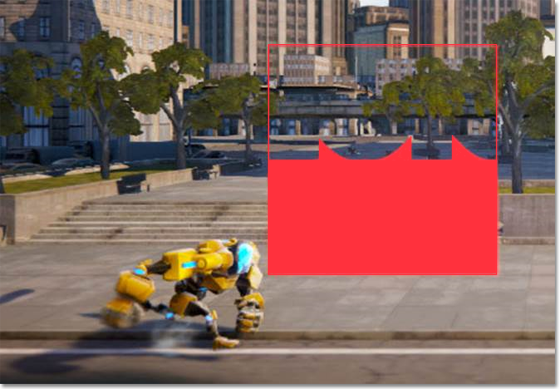 You can now override the far view plane on a level editor viewport. Removed the grid dots for a cleaner view and the grid is now scaled according to the grid snap settings. Added support for Ctrl + Backspace and Ctrl + Delete to editable text boxes. Added prompt to restart the editor after you’ve enabled or disabled a plugin in the Plugins Editor. Added tooltips to Window options in main menu. Added Enable Sound option to Play-In-Editor settings. Added toast popup when successfully checking in. Save window now displays "Save Map" or "Save Asset" depending on what's being saved. Content is now autosaved by default, and the notification shows you the number of packages that will be saved. Pressing F4 to view details will now potentially spawn a new Details panel if all the currently open ones are locked. Browse button now works on unloaded objects. The Reset Layout feature has been moved to the Window menu from Editor Preferences. Frame rate settings now have a lower bound of zero. Fixed safe frames and aspect ratio bars not displayed when locking a camera in Matinee when no camera is selected. Fixed dragging and dropping brushes into the Scene Outliner not working correctly. Tutorial window no longer plays sounds. Fixed level locking changes not being able to be undone or redone. New! Landscape splines now have a Max Draw Distance setting for meshes on the spline. New! Added new Landscape LOD preview settings to viewports. New! Added Resample option for Change Component Size tool. Changed default paint brush radius to 128. Paint brush radius is now saved with your editor preferences. New! You can now rename folders by right clicking on them and selecting Rename. New! Diff Tool: Changes to Behaviour Tree assets can now be displayed interactively (diffing). New! Added new Content Browser view options: Show Only Assets in Selected Folders, Real-Time Thumbnails. Fixed Textures in thumbnails often drawing with blurry graphics (improved streaming for thumbnail Textures). New! You can multiply LinearColors by floats using a Float * (LinearColor) Blueprint node. New! Added a new ParseIntoArray function for easily splitting up strings. New! Variable Get/Set nodes can now display rich tooltips using (where available) documentation info. New! Alt + Right Click can now be used as an alternative to zoom Blueprint graphs. Added menu extensibility hooks for additional items in the Debug Object drop down. Added a details customization for the graph nodes that handles node names/renaming. Added code to support searching interfaces. Renaming Blueprint Interface functions now properly renames the functions in implementing Blueprints. Combo button menus no longer scale in the Blueprint Editor. 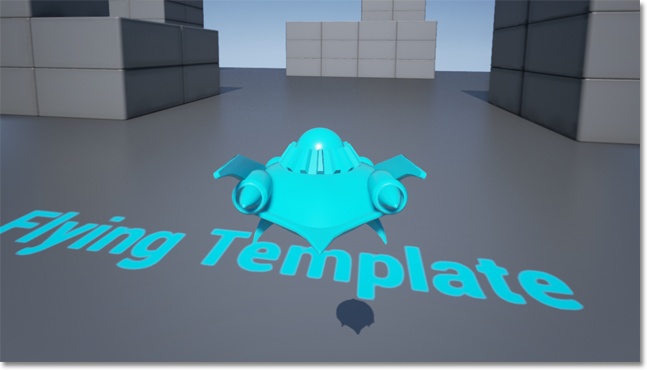 Realtime rendering in the Blueprint preview scene is now disabled when Components mode is deactivated within the Blueprint editor. 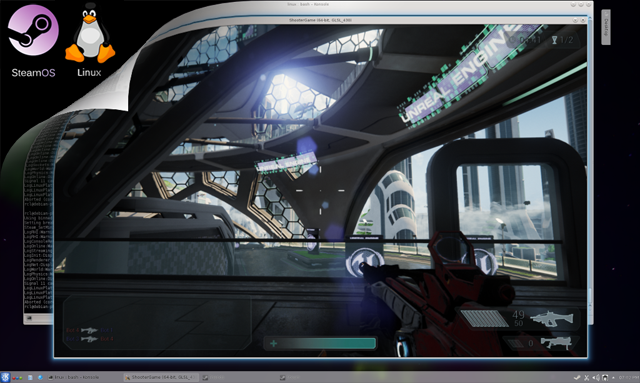 Improved how the zoom slider in the Texture Editor interacts with the Fit to Viewport setting. New! You can now zoom in and out by holding Left + Right Mouse Buttons and dragging. New! Material Attributes can now be connected to Feature Level and Quality switches. Lighting-specific options in the Material Details are now grayed out when Unlit mode is active. Changed Material statistics to be displayed in their own tab. New! You can now select and edit multiple bones at the same time in Persona. New! You can now save assets straight from Persona’s built-in Asset Browser. New! 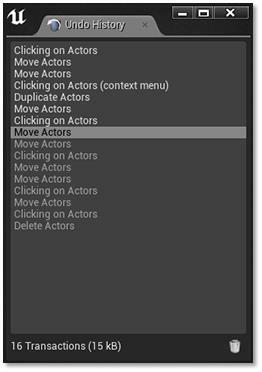 Animation Notifies can now be deleted by selecting them and pressing the Delete key. New! 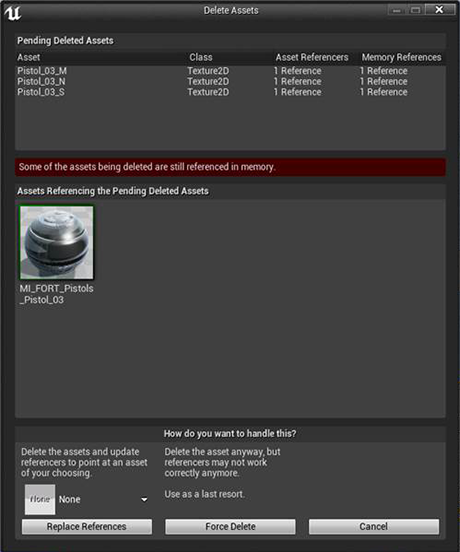 You can now open assets directly from Blueprint nodes that reference them. Fixed changes to bones not being able to be undone and redone. New! Matinee now supports rendering to PNG and JPEG formats (along with BMP and AVI). Fixed inconsistencies with how Undo/Redo works in Matinee compared to other editors (such as Cascade). Added the ability to load the Unreal Build Toll BuildConfiguration from XML files.